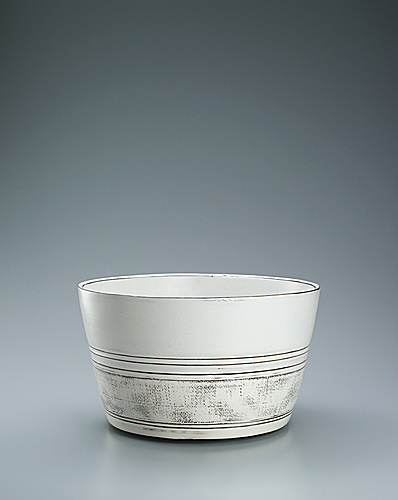 Deep bowl covered with white slip and with inlay decoration. 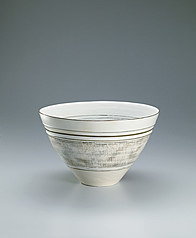 Bowl covered with white slip and with inlay and line decoration. 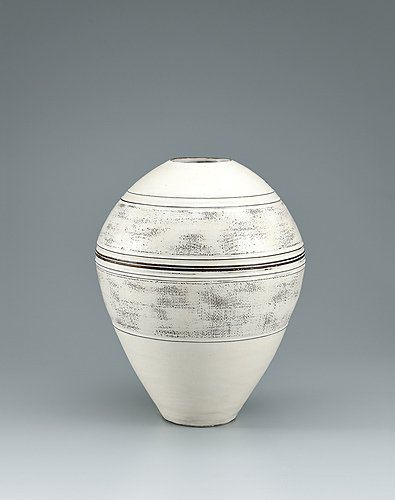 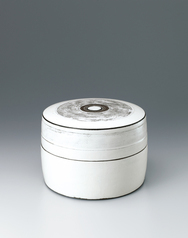 Covered circular box with white slip and line design.